Cosmos was founded in White Rock 46 years ago by Loula and John Manos. It was one of the first three original Greek restaurants in the lower mainland and the only Greek cuisine featuring live entertainment every Friday and Saturday. 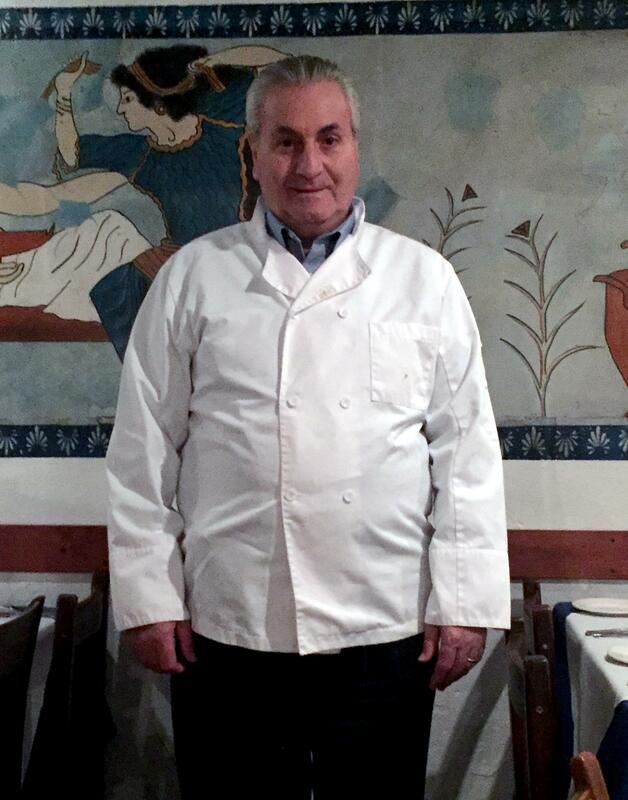 Loula was in charge of the kitchen perfecting her Greek recipes while John, whose working career was spent as an auto mechanic, took over as host, welcoming guests with his warm Greek hospitality. The Manos couple heard through the Greek community about chef Demetre Theodosakis, formerly of Kozmas Greek Restaurant, very famous in Vancouver. At the time, Demetre was also a partner in a Penticton Greek Restaurant called Theos. In 1978 he became a co-owner and partner with the Manos' and brought his expertise and fresh ideas to Cosmos, where he’s now been for 41 years. Demetre was born on the famous island of Crete and has incorporated some of his island’s cooking secrets in his cuisine and strongly believes that there is no substitution for quality. Together with Loula and John, Demetre's creations were exquisite and brought in people from all over the lower mainland and the U.S. The success continued making Cosmos a favourite for all food lovers. In 1980, the opportunity was there for expansion at the restaurant and brought in a successful new era in Cosmos history. In 1991, Loula and John left Cosmos to pursue different interests and sold their shares to Loula's sister Christina and brother-in-law George Zambus, who became co-owners and partners with Demetre. The restaurant's legacy and success has continued with Christina and George. The Manos couple heard through the Greek community about chef Demetre Theodosakis, formerly of Kozmas Greek Restaurant, very famous in Vancouver. At the time, Demetre was also a partner in a Penticton Greek Restaurant called Theos. In 1978 he became a co-owner and partner with the Manos' and brought his expertise and fresh ideas to Cosmos, where he’s now been for 39 years. In 1999, due to a major flood the restaurant was rebuilt and redesigned and more capacity was acquired to make it what it is today. Cosmos has charmed patrons with old world atmosphere and traditional Greek food. Cosmos, a well-rooted establishment, has a faithful clientele. In 2013, Demetre's wife Georgia joined Cosmos and is very proud to be a part of such a successful staple on the White Rock waterfront. Cosmos believes in giving back to the community and fully supports many of our local organizations such as the Rotary Club and many more local charities. It is our pleasure to support the community and we'd like to thank all of you who have supported us for all these years.